The Cloud has become the standard for business software, but where does ERP fit? Many software vendors have tried to repurpose their on-premise solution to fit the cloud but have failed to meet the demands of an on-demand economy. Rootstock Software is ERP built in the cloud and for the cloud. By leveraging the incredible features of the Salesforce Platform, Rootstock offers an application that can change the way you think about ERP and the Cloud. Curious? Come learn how Rootstock is enabling Manufacturers, Distributors and Supply Chain Management companies to run their End-to-End ERP business processes Native in Salesforce®. 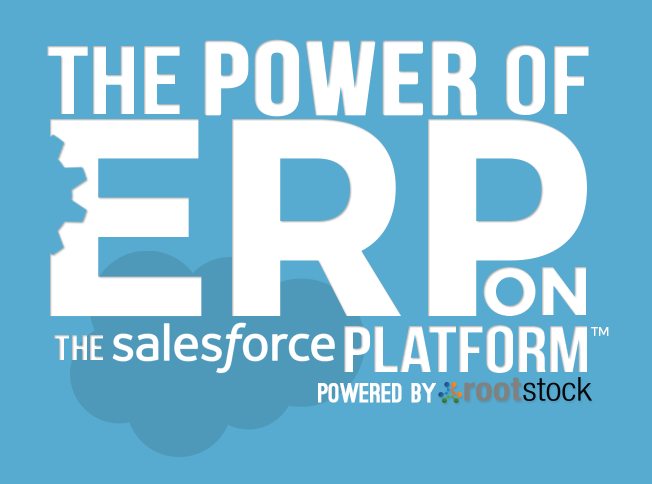 Starting on May 15, Rootstock will be hosting an 8-Week Webinar series expanding on the Power of ERP on the Salesforce Platform™. To learn more and to register for this webinar, click here!